The Takoma Park Folk Festival – Beside Ourselves, me and Katy Morse, performs at noon on the Grassy Nook Stage. I also stroll (usually on the shady side of the building near the artists and crafts folks) from about 3-4 PM. Saturdays from 12-3 PM I may usually be found at the Lancaster Dutch (Amish) Market in Germantown, MD – 12613 Wisteria Drive – if I am not otherwise engaged. Check with me about any particular Saturday. 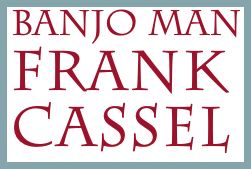 © 2016 Frank Cassel Music, all rights reserved.